These handouts go with the Romeo and Juliet unit plan. Below is the first assignment handout. Students would read this version of the Prologue, then come up with a way to split the summary into five acts, and create a short play. This is meant to help them understand what to look for in the play, in terms of plot, tragic elements, and themes. As students work together to revise, the teacher should offer resources to help them effectively peer edit. An example taken from readwritethink.org, is below. Lastly, to expose students to the ideas of family hierarchical structures, we've put together a simplified version of the Corleone family hierarchy. This is a family with which many students may be familiar, so it makes sense to start here. This lesson is geared toward exploring how different people have interpreted the sexuality of characters in the play. Below are three possible excerpts of information we would use in a classroom, depending on the age, maturity, and understandings of the classroom. Each can be adapted, shortened, or simplified for specific classrooms. These are merely three different ways to explore how and why Shakepeare's characters might be acting in the ways they do. For this lesson, we would ask students to put a character on trial, specifically Friar Lawrence. 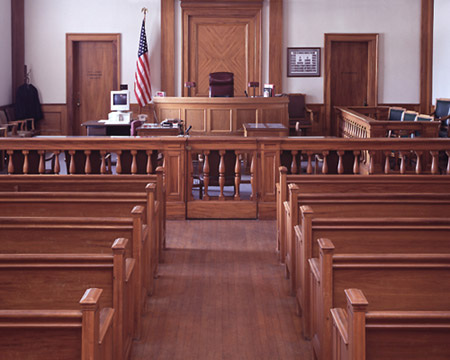 In order to begin this process, we would have students view the below image of a courtroom, as well as read about the different courtroom roles. Students would be split into groups for this activity. Here, we are attempting to help students understand foreshadowing and how Shakespeare tells the reader what will happen to different characters, such as Tybalt, Mercutio, and Romeo.